The highly awaited Samsung Galaxy S4 after a glittering launch in New York City in March has finally arrived in India towards the end of April, a few days before its announced launch date in the Indian market. The Indian smart phone enthusiasts now have the information about the latest phone in the Galaxy line up, including its price and the processor it has to offer. As expected before and informed by various sources, the Indian consumers have got the better processor of the Galaxy S4. The device is launched with the eight core Exynos 5 Octa processor for the UK market, while the US market is not so fortunate and has a Qualcomm Snapdragon 600 processor with a quad core chip instead. As for the Indian Samsung GS4, the smartphone gets powered by the same eight core chip variant as the UK counterpart. India thus, belongs to the very few countries to receive the eight-core GS4. Apart from the processor specifications, the rest of the phone remains the same for all the countries. Samsung Galaxy S4 is installed with the latest version of Android – 4.2 Jelly Bean and sports a super sensitive 5 inch Super AMOLED touch screen along with Gorilla Glass protection, full HD with 1920 x 1080 resolution. The smartphone offered with a 2-gig RAM and Adreno 320 GPU. The Indian GS4 comes with inbuilt storage of 16 GB along with microSD card slot for further memory expansion. The S4 also boasts of a rear shooter with a massive 13 mega-pixel sensor and a 2MP front facing camera for your chat on video. The Android based smartphone draws power from a 2,600 mAh battery that assures to provide backup for a whole day of work and play. The Samsung Galaxy S4 packs in a whole range of innovative features including the Air-gesture feature which enables the users to operate the phone simply by a wave of the hand in the air, apart from this there is a Smart Pause feature that makes the phone pause any running video file whenever the user is looking anywhere other than the mobile screen. For these futuristic features the GS4 uses the sensor of the handset’s front camera to detect the eye and hand movements of the user. That is indeed a smart feature that should make the phone a popular device among the tech geeks. As for the pricing of the Galaxy S4 in the Indian market, it is tagged at Rs 41,500, (around $785) which is rather below the earlier expected price of Rs. 45,000. This price also makes the GS4 more affordable than the recently released HTC One that is priced for Rs 42,900, with 32GB storage minus the microSD card slot. However, the GS4 is rather criticized for still holding onto the cheap plastic casing even with the premium pricing, while the HTC One is being praised for its superior solid Aluminium unibody design. The Galaxy S4 is now available at the Samsung eStore, company outlets and other retail stores in India. Author Info- This was posted by Julia. She wrote several tech posts for 91mobiles.com. 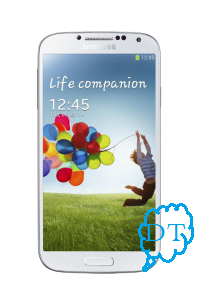 Have a look on Samsung Galaxy S4 price. Her passion for upgrading her knowledge puts her to research on topics relevant to her industry. Besides, she also likes to share her findings by writing about them in her free time.